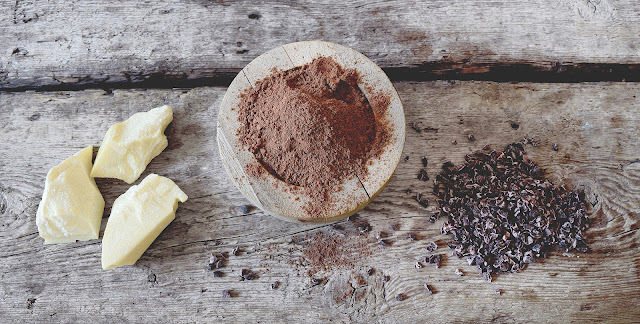 Ailey Mae's Blog: What is raw chocolate? 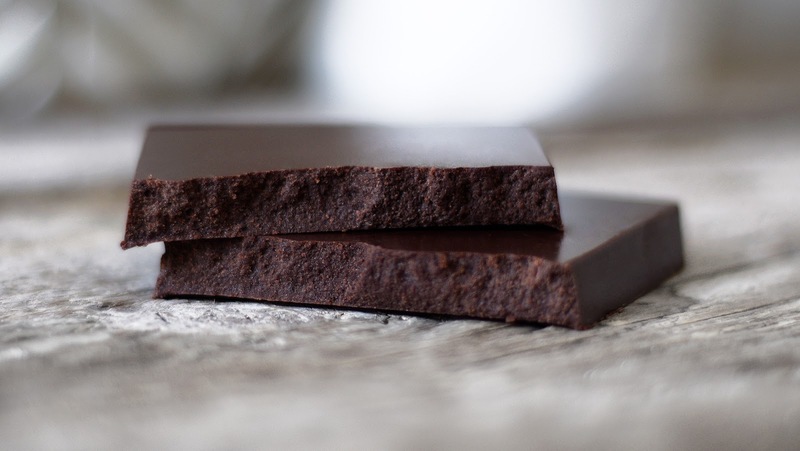 This is a question we get asked quite a lot and as there is some debate about what actually constitutes "raw chocolate" it is one that is surprisingly difficult to give a definitive answer to. So here we will just give you our take on it. To us, raw chocolate is chocolate that is made using raw, unroasted cacao and that is produced below 44°C. Oh ok, so erm...what is cacao? Cacao butter - The buttery outer lining of the inside of a cacao bean which is removed prior to processing. Cacao powder - Made from the cold pressed unroasted cacao beans. Cacao nibs - These are cacao beans that have been chopped into little chips. They contain all of the fat, fibre and nutrients of the bean. So is there a difference between cacao and cocoa powder then? Yep. Cacao powder is made from cold-pressed unroasted cacao beans. Cocoa powder is made from cacao beans that have been roasted at high temperature. This roasting process, whilst creating great flavour, may have the disadvantage of reducing the enzyme content and overall nutritional value of the cacao. Cacao also has a high antioxidant level and it is suggested that the roasting process can destroy these antioxidant properties though, it must be added, that there has been no conclusive research done on this as yet. Really, as raw chocolate producers, we just follow the rule that it is better to do as much to preserve all of the beneficial properties of the cacao as you can and therefore starting with a raw material which has seen as little processing as possible should yield a more nutritionally dense product. Ok, so it's chocolate that's made from unroasted beans and produced below 44°C but I'm still not sure why it's called raw? Most of the regular chocolate you buy, aside form being made from roasted beans, has also gone through a process known as tempering. The actual details of tempering are quite long winded so, in a nutshell, tempering is the process of raising and then lowering the chocolate's temperature to produce the correct crystals to create temperature stable chocolate with the classic snap we are used to. This process typically involves heating the chocolate up to a maximum of 55°C to produce the right crystals. As it is believed that at temperatures above 44°C most of the nutritional, enzymatic and antioxidant properties of the chocolate will be lost, “raw” chocolate is produced below 44°C to preserve as much of these properties as possible. This does mean, however, when producing raw chocolate you will never hit the upper temperature and that is why you will find a lot of the raw chocolate on the market, ours included, has a softer texture than regular chocolate. So is raw chocolate better for me than regular chocolate? Really this one is such a minefield that we have avoided making any direct claims to our chocolate being better for you than any other chocolate. While there is no conclusive proof as yet that roasting the beans or heating the chocolate above 44°C will remove the nutritional benefits of the cacao it has been strongly argued by many that this is the case. We do know that heating up food stuffs above certain temperatures will remove nutrients and minerals, this is the basis of the whole raw food movement, it should therefore figure that cacao wouldn't be any different. Another factor to be taken into account is the other ingredients used in the making of the chocolate. 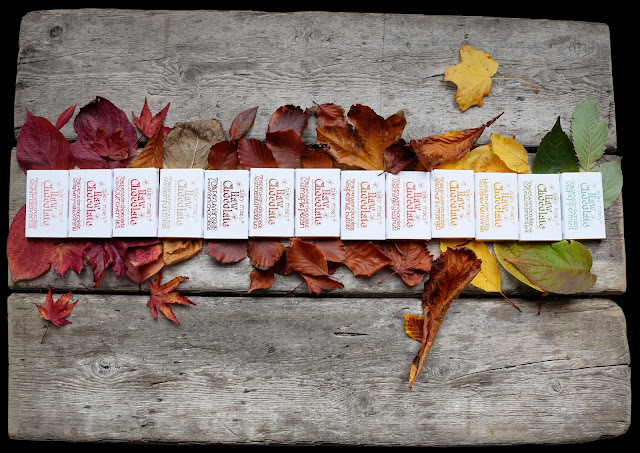 For example a raw chocolate filled with artificial flavours, colours, preservatives and sweeteners would be worse for you than a regular chocolate bar made with organic cocoa, natural flavours, sugars and containing no artificial nasties. Typically raw chocolates will be made without any preservatives or dairy and with no artificial or heavily processed sugars but it must be said, there are so many amazing artisan producers on both sides of the raw, non-raw divide nowadays, that we are spoilt for choice whatever we choose. What really matters is the quality of the raw materials, are they organic, ethically produced and is the final product as pure as possible and most importantly of all...how does it make you feel? So what's the deal you guys and your chocolate? Our philosophy is simple. We only use organic, ethically produced cacao from one reputable supplier who has a direct relationship with the growers. We produce all of our chocolate in micro batches below 44°C. We sweeten with agave and flavour with pure essential oils, organic nuts, berries and spices. We do all this because we believe it makes the best chocolate that has the best chance of being good for you...and us, because we eat lots of it too!